I am so excited to introduce this months sponsor...yes for the entire month we have KENNY K and of course his wonderful wife Elena. Thanks to both of you for hanging out with us for the month of May. This week your Party Planners were lucky enough to work with one of the newer releases (the newest are male digis...for father's day! ), SUPER MOM!. 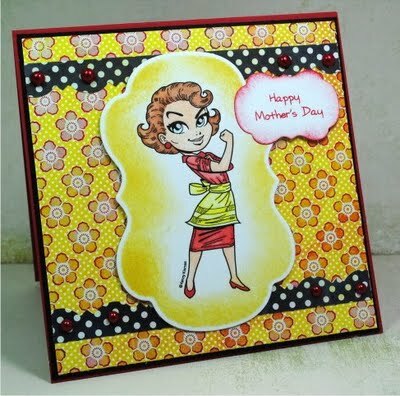 So I can bet you have figured out our theme....MOTHER'S DAY! 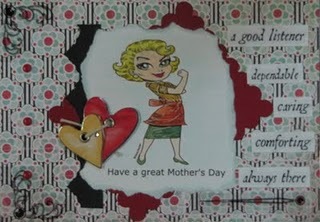 We want to see the cards that everyone will be giving there moms this Sunday. Here is your inspiration from your Party Planners! This card has been removed. Patchi got it published at SNR!!!!! Congrats!!! If you upload to one of the galleries please use the tag PTT14. Thanks! Also, don't forget to visit our FaceBook page. 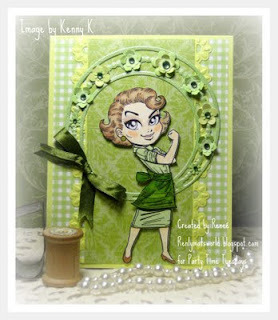 We are featuring your Party Planner Danie! Please stop in and give her some love. Even thought we didn't have a winner this past week for leaving Nancy a comment...you can still leave her some love too! :0) The winner who comments on Danie's Bio will receive a $5 gift certificate to the digital stamp store of your choice. Fun image and some great cards! Loving the DT cards! All gorgeous and so bright & fun! Thank you for this terrific challenge and beautiful inspiration! Happy Mother's Day :).